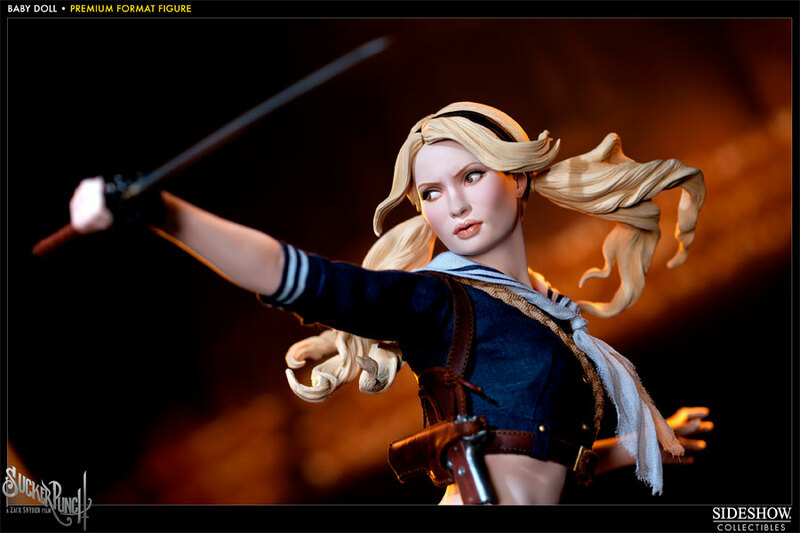 Sideshow Collectibles is proud to present the Babydoll Premium Format figure, inspired by the epic action-fantasy, Sucker Punch. 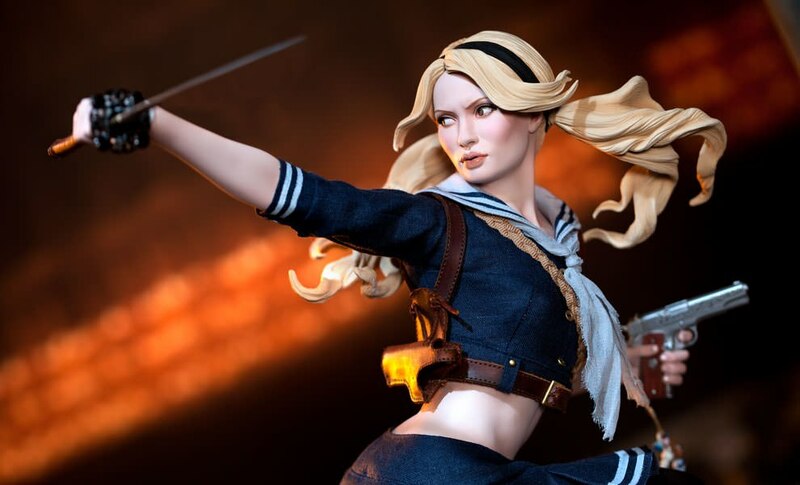 Featuring detailed accessories and a real fabric costume, the Babydoll Premium Format figure captures the troubled heroine in stunning 1:4 scale. Each piece is individually painted and finished, with the unique quality and attention to detail that is the trademark of a handcrafted Sideshow Collectibles product. 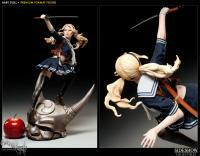 Depicted in the midst of battle, standing approximately 19 inches tall, the dynamic Babydoll Premium Format figure makes an outstanding addition to any collection. Go mines a few days ago and I got to say all the hard work and sweat has paid off for Sideshow. Very pleased as Sucker Punch is my favorite movie of all time. just got it 2day, i was thinking twice about this piece but now its here definitely worth it so much detail, its parked right next to lara croft PF my 2 bad a$$ PF chicks..don't think just do it!!! ..received mine Exclusive last week and make all my friends jealous with this beauty, every detail and and fabric nicely done. Specially the hair done is amazing guys...not a real fan but its strikes me well.